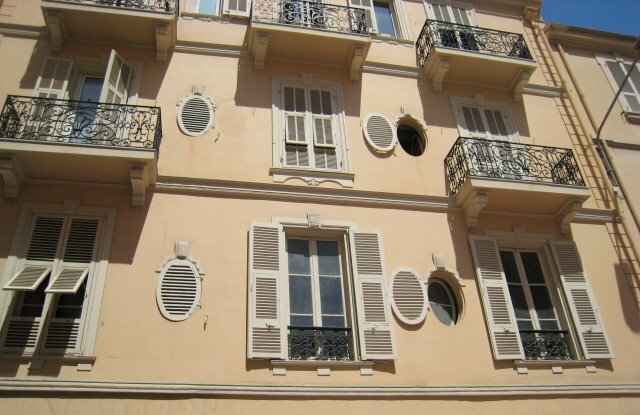 Unusual 'port-hole' windows in a building near to the walking street of Monte Carlo. Presumably they'd be the bathrooms or loos? Perhaps hallways? They are cute and add a lot of charm to the building. I love the shutters on the windows, especially the ones with a balcony. Shutters typical of the South...Very nice wrought iron work on these balconies. Jilly, this is a perfectly delightful facade. The balconies with the wrought iron work give it character. The shutters are a nice finishing touch to the whole thing. They look like bathroom windows, before ventilation was invented or something.